Perfect location. 2 miles to downtown Evergreen & 8 miles to the bottom of the hill. Walk to park and creek. Great schools. Completely renovated from the foundation to the roof and done right! This includes the addition of a lower walkout level. New everything. Main features include all new electrical, plumbing, mechanical, structurally engineered foundation, insulation, drywall, natural gas service, deck, windows, doors, kitchen, baths, graded lot, roof, and the list goes on............This home is builder owned and a labor of love. All work permitted and inspected through Jefferson county. 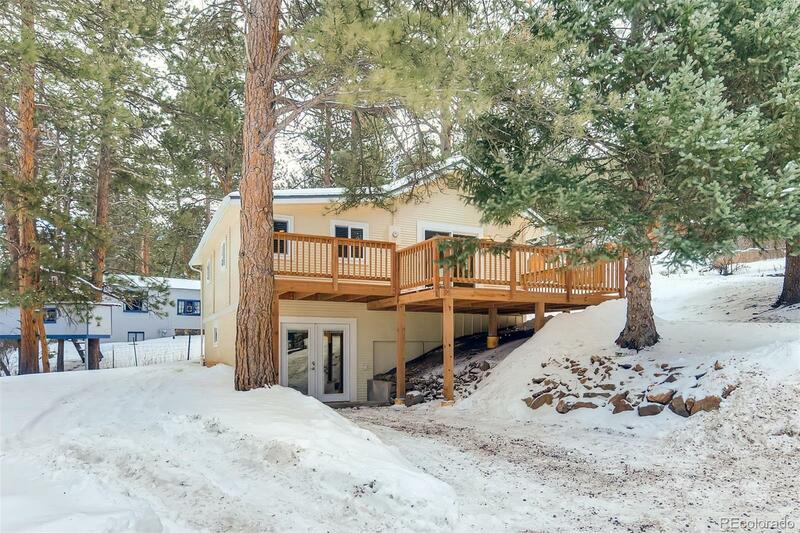 A great investment and opportunity to own a gem in the heart of Kittredge.